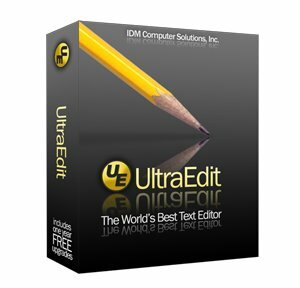 Buy UltraEdit Text Editor 2015 Product Key online from the most reliable Windows Product Key Shop, www.pay4key.com. Here you'll enjoy great benefit at very low cost. Pay $19.99, get UltraEdit Text Editor 2015 Product Key together with UltraEdit Text Editor 2015 download link. What a super deal! 100% Genuine UltraEdit Text Editor 2015 Product Key. Activate both 32 and 64 bit version. Support all languages version, including English, German, Japanese, French, Chinese, Spanish and so on. One Key For One Computer. Only for Genuine Version. Not for Trail, OEM, Beta and Non-Genuine Version. Usually UltraEdit Text Editor 2015 Product Key and Download URL will be sent via Email within 6 hours. The standard payment method of our online store is Paypal or Paypal's Credit Card. You can pay through your PayPal account. We also accept the payment via Amazon Gift Card, Western Union and Bank Transfer. For more details, please contact us by email. Easier, quicker and more efficient to get UltraEdit Text Editor 2015 installation iso or exe file. Download only takes a little time. Provide free download link for UltraEdit Text Editor 2015 by email(If you need, please send us an email). Easy download, copy the link we provide into your browser and press enter, it will start if you agreed download. Language: English, German, French, Spanish, Italy, Russian, Japanese, and so on. If you have any questions or problems, please send us email first before making dispute or claim. We'll reply to you in 6-12 hours. About Us | Contact Us | FAQs | Policy | More Products List | Sitemap Copyright © 2010-2019 pay4key.com. All Rights Reserved.